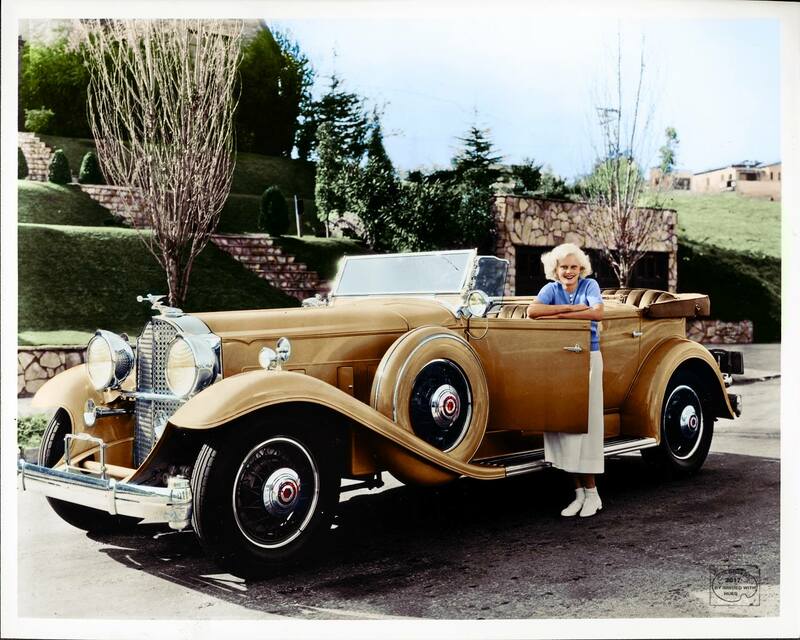 I’m not the first person to happen upon these colorized photographs of old black and white images. But I’ll write about it anyway. 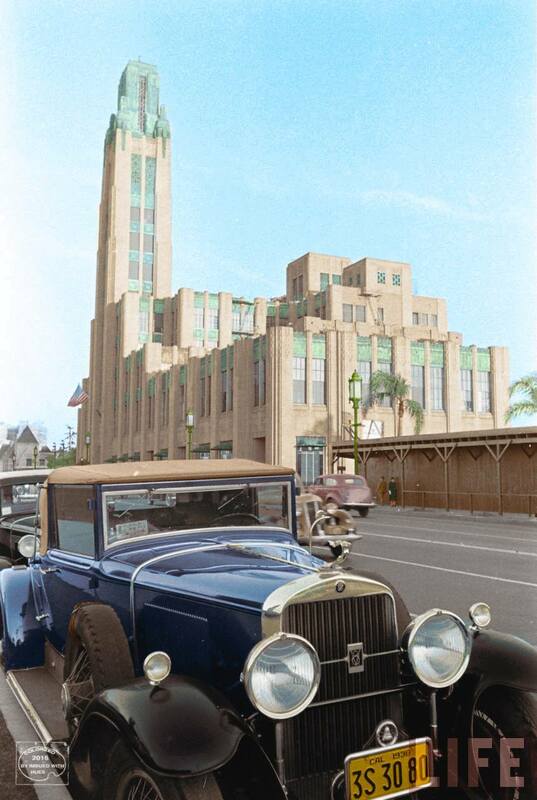 “Imbued With Hues” is Patty Allison’s project to bring to life vintage photos and somehow breathe new life into dead people and lost places. 25,000 follow her on Facebook. She is in her mid 50s, and lived in Portland, ME where she worked as a dog groomer, but now resides in Long Beach, CA. 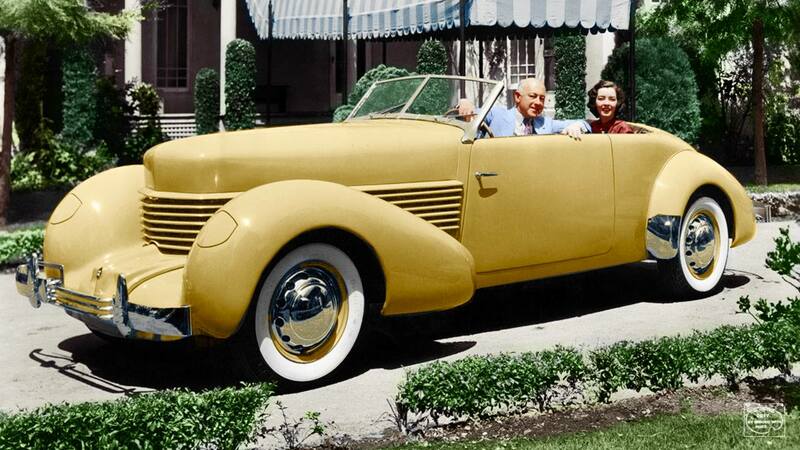 She has been doing her special hobby for four years and she has a special affinity for old cars. This information I learned from a 2013 article about her. A lot of her color choices are guesses, especially when it comes to clothing. But the results are glorious. Below are some selections, heavily weighted towards Southern California. 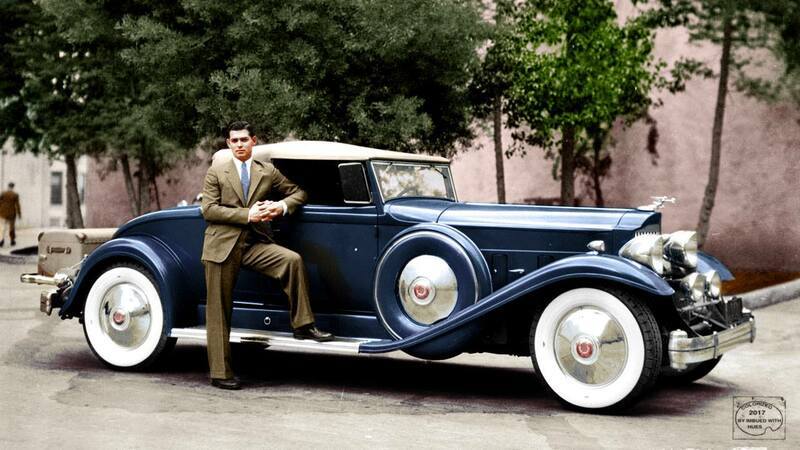 1929 Cadillac V8 2-Door Convertible Coupe with Body by Fisher, Style #8680 at Bullock’s Wilshire, Los Angeles, photo taken in 1938. 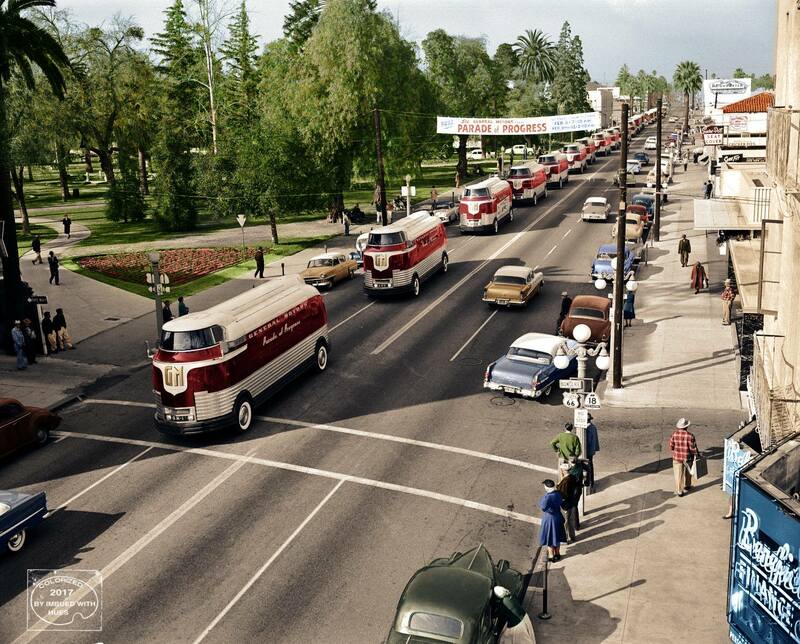 February 1956 – E Street, San Bernardino, California, Old Route 66. 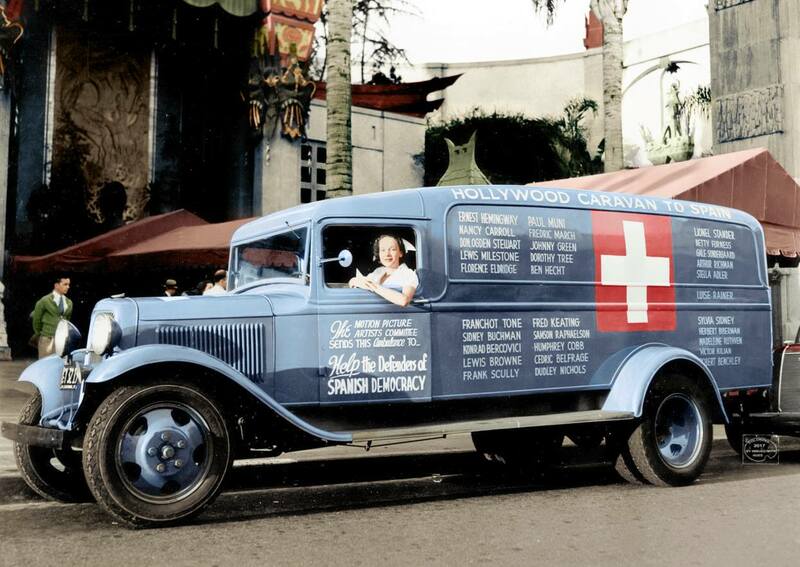 1937 – Riette Kahn at the wheel of an ambulance donated by the American film industry to the Spanish government. 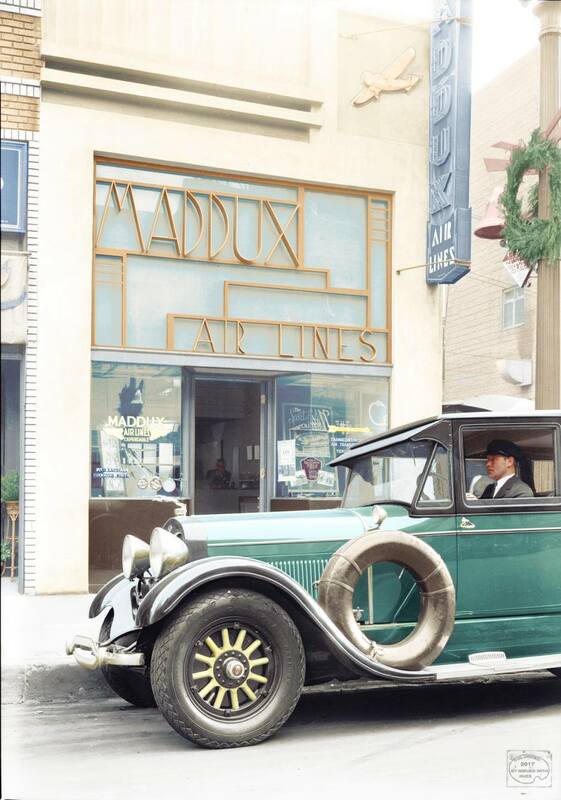 Grauman’s Chinese Theater in the background. 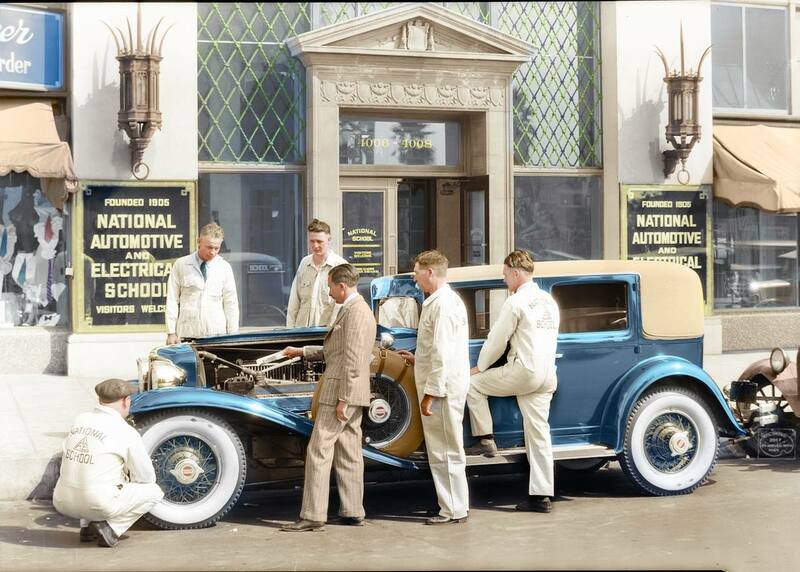 1929 – Cord front wheel drive in front of National Auto School, Southern California. 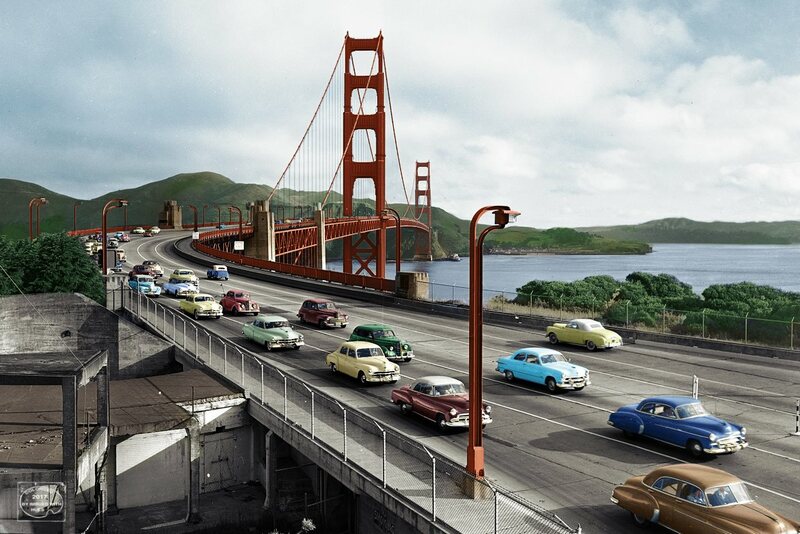 Golden Gate Bridge, San Francisco, CA, early 1950s.